Everyone wants more visitors, more qualified leads, and more revenue. But starting a business isn't one of those "if you build it, they will come" situations. In order to build a successful company, you'll need to create and fine-tune a business plan, assess your finances, complete all the legal paperwork, pick your partners, research apps for startups growth, choose the best tools and systems to help you get your marketing and sales off the ground … and a whole lot more. 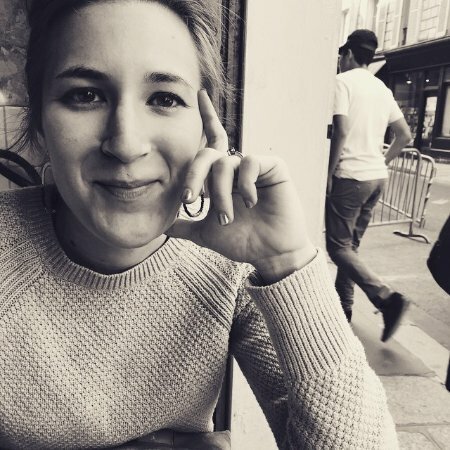 To help, I've put together a library of the best free tools and resources to help you start selling and marketing your business, and a complete guide on how to start a business. The guide covers everything from the paperwork and finances to creating your business plan and growing your business online. Use the links below to navigate to each section of the guide. 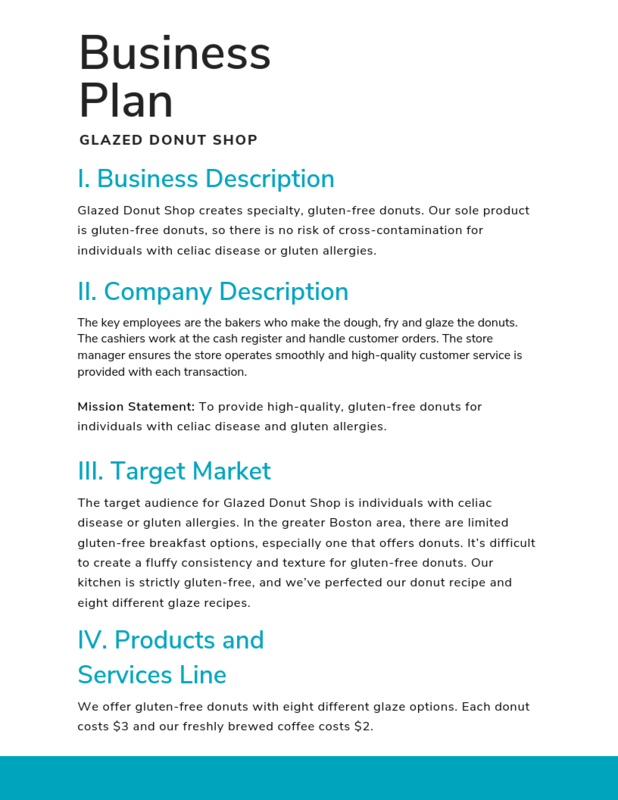 Download a business plan template. Determine your business' legal structure. Sell your products and services. Starting a business involves a whole lot of moving pieces, some more exciting than others. Brainstorming business names? Fun! Filing taxes? ... Not so fun. The trick to successfully getting your business off the ground is to meticulously plan and organize your materials, prioritize properly, and stay on top of the status and performance of each and every one of these moving parts. 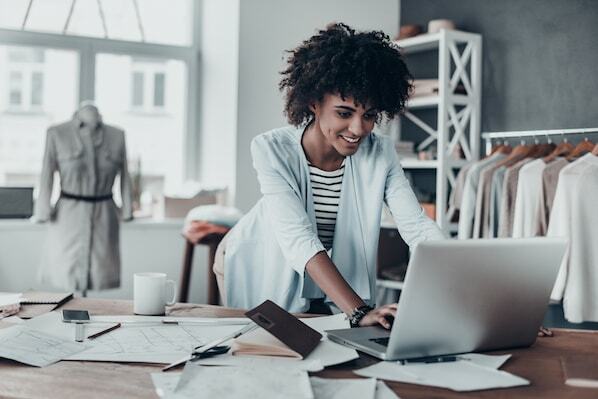 From registering with the government to getting the word out about your business to making key financial decisions, here's an overview of what you'll need to do to start a successful business. A business plan is a living document that maps out the details of your business. It covers what your business will sell, how it will be structured, what the market looks like, how you plan to sell your product or service, what funding you'll need, what your financial projections are, and which permits, leases, and other documentation will be required. At its core, a business plan helps you prove to yourself and others whether or not your business idea is worth pursuing. It's the best way to take a step back, look at your idea holistically, and solve for issues years down the road before you start getting into the weeds. 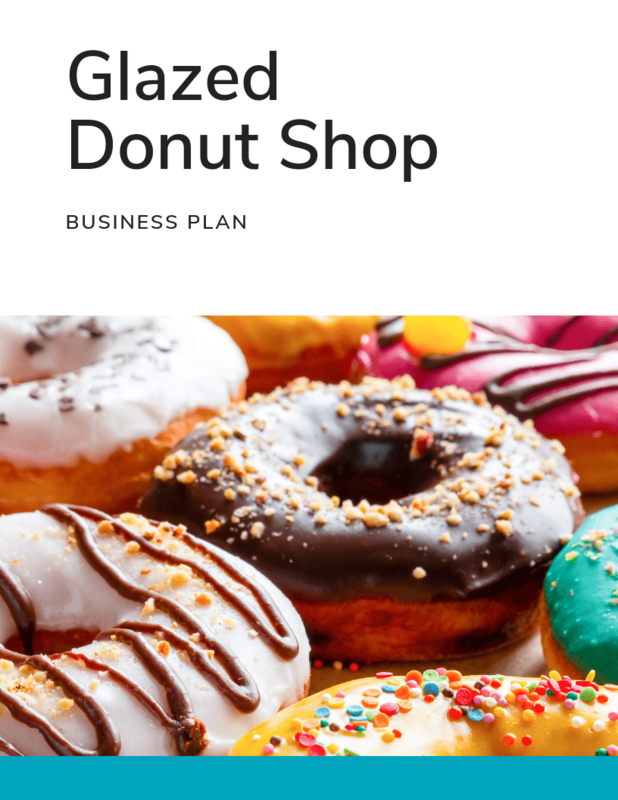 This post covers tips for writing a business plan, followed by an outline of what to include and business plan examples. Let's start with some basic, overarching tips before we dive in to the details. Grab your free business plan template here and apply the practices below. Narrow down what makes you different. You can (and should) change it as you go. 1. Narrow down what makes you different. Before you start whipping up a business plan, think carefully about what makes your business unique first. If you're planning to start a new athletic clothing business, for example, then you'll need to differentiate yourself from the numerous other athletic clothing brands out there. What makes yours stand out from the others? Are you planning to make clothing for specific sports or athletic activities, like yoga or hiking or tennis? Do you use environmentally friendly material? Does a certain percentage of your proceeds go to charity? Does your brand promote positive body image? Remember: You're not just selling your product or service -- you're selling a combination of product, value, and brand experience. Think through these big questions and outline them before you dive in to the nitty-gritty of your business plan research. Business plans are more short and concise nowadays than they used to be. While it might be tempting to include all the results of your market research, flesh out every single product you plan to sell, and outline exactly what your website will look like, that's actually not helpful in the format of a business plan. Know these details and keep them elsewhere, but exclude everything but the meat and potatoes from the business plan itself. Your business plan shouldn't just be a quick(ish) read -- it should be easy to skim, too. 3. You can (and should) change it as you go. Keep in mind that your business plan is a living, breathing document. That means you can update your business plan as things change. For example, you might want to update it a year or two down the road if you're about to apply for a new round of funding. Describe your company and business model. Explain your product and/or service. Outline all operations & management roles. Design a marketing & sales strategy. Detail a financial plan with business costs, funding, and revenue projections. Summarize the above with an appendix. Here are the key elements in a business plan template, what goes into each of them, and a sample business plan section at each step in the process. 1. Write an executive summary. Overview: Briefly explain what the company is, where you'll be located, what you'll sell, and who you'll sell to. Company Profile: Briefly explain the business structure, who owns it and what prior experience/skills they'll bring to the table, and who the first hires might be. Products or Services: Briefly explain what you'll sell. The Market: Briefly explain your main findings from your market analysis. Financial Considerations: Briefly explain how you plan to fund the business and what your financial projections are. 2. Describe your company and business model. Next, you'll have your company description. Here's where you have the chance to give a summary of what your company does, your mission statement, business structure and business owner details, location details, the marketplace needs that your business is trying to meet, and how your products or services actually meet those needs. NALB Creative Center is a startup, to go into business in the summer of this year. We will offer a large variety of art and craft supplies, focusing on those items that are currently unavailable on this island. The Internet will continue to be a competitor, as artists use websites to buy familiar products. We will stock products that artists don't necessarily have experience with. We will maintain our price comparisons to include those available online. We will offer classes in the use of new materials and techniques. We will build an Artist's Oasis tour program. We will book local Bed and Breakfasts; provide maps and guides for appropriate plein-air sites; rent easels and materials; sell paint and other supplies and ship completed work to the clients when dry. We will expand the store into an art center including: A fine art gallery, offering original art at, or near, wholesale prices; Musical instruments/studio space; Classrooms for art/music lessons; Art/Music books; Live music/coffee bar; Do-it-Yourself crafts such as specialty T-Shirts, signs, cards, ceramics for the tourist trade. 3. Analyze your market's conditions. One of the first questions to ask yourself when you're testing your business idea is whether it has a place in the market. The market will ultimately dictate how successful your business will be. What's your target market, and why would they be interested in buying from you? Get specific here. For example, if you're selling bedding, you can't just include everyone who sleeps in a bed in your target market. You need to target a smaller group of customers first, like teenagers from middle-income families. From there, you might answer questions like: How many teenagers from middle-income families are currently in your country? What bedding do they typically need? Is the market growing or stagnant? Include both an analysis of research that others have done, as well as primary research that you've collected yourself -- whether by customer surveys, interviews, or other methods. This is also where you'll include a competitive analysis. In our example, we'd be answering the question: how many other bedding companies already have a share of the market, and who are they? Outline the strengths and weaknesses of your potential competitors, as well as strategies that will give you a competitive advantage. Green Investments has identified two distinct groups of target customers. These two groups of customers are distinguished by their household wealth. They have been grouped as customers with <$1 million and >$1 million in household wealth. The main characteristic that makes both of these groups so attractive is their desire to make a difference in the world by making investment decisions that take into account environmental factors. The financial services industry has many different niches. Some advisors provide general investment services. Others will only offer one type of investments, maybe just mutual funds or might concentrate on bonds. Other service providers will concentrate on a specific niche like technology or socially responsible companies. Green Investments has segmented the target market into two distinct groups. The groups can be differentiated by their difference in household wealth, households of <$1 million and >$1 million. <$1 million (household worth): These customers are middle class people who have a concern for the environment and are taking personal action through their choosing of stock investments based on companies with both strong economic and environmental performance records. Because these people do not have an over abundance of money they choose stocks that are of moderate risk. Generally, this group has 35%-45% of their portfolio in stocks, the remaining percentages in other types of investments. >$1 million (household worth): These customers are upper middle class to upper class. They have amassed over $1 million in savings and are fairly savvy investors (themselves or the people they hire). These people are generally concerned about the rate of return of their investments but also have environmental concerns. 4. Explain your product and/or service. Here's where you can go into detail about what you're selling and how it benefits your customers. If you aren't able to articulate how you'll help your customers, then your business idea may not be a good one. Start by describing the problem you're solving. Then, go into how you plan to solve it and where your product or service fits into the mix. Finally, talk about the competitive landscape: What other companies are providing solutions to this particular problem, and what sets your solution apart from theirs? AMT provides both computer products and services to make them useful to small business. We are especially focused on providing network systems and services to small and medium business. The systems include both PC-based LAN systems and minicomputer server-based systems. Our services include design and installation of network systems, training, and support. The only way we can hope to differentiate well is to define the vision of the company to be an information technology ally to our clients. We will not be able to compete in any effective way with the chains using boxes or products as appliances. We need to offer a real alliance. The benefits we sell include many intangibles: confidence, reliability, knowing that somebody will be there to answer questions and help at the important times. Unfortunately, we cannot sell the products at a higher price just because we offer services; the market has shown that it will not support that concept. We have to also sell the service and charge for it separately. 5. Outline all operations & management roles. Use this section to outline your business' unique organization and management structure (keeping in mind that you may change it later). Who will be responsible for what? How will tasks and responsibilities be assigned to each person or each team? Includes brief bios of each team member and highlight any relevant experience and education to help make the case for why they're the right person for the job. If you haven't hired people for the planned roles yet, that's OK -- just make sure you identify those gaps and explain what the people in those roles will be responsible for. The labor force for DIY Wash N' Fix will be small. It will consist of a part-time general manager to handle inter-business relationships and corporate responsibilities. In addition, DIY Wash N' Fix will employ three certified mechanics/managers; their duties will consist of the day-to-day operation of the firm. These duties fall into two categories: managerial and operational. Managerial tasks include: scheduling, inventory control and basic bookkeeping. Safety, regulatory issues, customer service and repair advice are the operational tasks they will be responsible for. Additionally, customer service clerks will be hired to perform the most basic tasks: customer service and custodial. DIY Wash N' Fix will have a single general manager to coordinate all outside business activities and partnerships. The business relationships would include accounting services, legal counsel, vendors and suppliers, maintenance providers, banking services, advertising and marketing services, and investment services. Laurie Snyder will fill this general management position. She will be receiving an MBA from the University of Notre Dame in May 2001. The daily management of the business will be left to the lead mechanic. Even though DIY Wash N' Fix is not a full service repair shop it can be expected that some customers will attempt repairs they are not familiar with and need advice. Therefore, we intend to hire three fully certified mechanics. The mechanics will not be authorized to perform any work on a customer's car, but they will be able to take a look at the car to evaluate the problem. To reduce our liability for repairs done incorrectly we feel only professional mechanics should give advice to customers. The primary function of the mechanics will be customer service and managerial responsibilities. 6. Design a marketing & sales strategy. On the marketing side, you'll want to cover answers to questions like: How do you plan to penetrate the market? How will you grow your business? Which channels will you focus on for distribution? How will you communicate with your customers? On the sales side, you'll need to cover answers to questions like: what's your sales strategy? What will your sales team look like, and how do you plan to grow it over time? How many sales calls will you need to make to make a sale? What's the average price per sale? Speaking of average price per sale, here's where you can go into your pricing strategy. The Skate Zone plans to be the first amateur inline hockey facility in Miami, Florida. Due to the overwhelming growth of inline hockey throughout the United States, the company's promotional plans are open to various media and a range of marketing communications. The following is a list of those available presently. Public relations. Press releases are issued to both technical trade journals and major business publications such as USAHockey Inline, INLINE the skate magazine, PowerPlay, and others. Tournaments. The Skate Zone will represent its services at championship tournaments that are held annually across the United States. Print advertising and article publishing. The company's print advertising program includes advertisements in The Yellow Pages, Miami Express News, The Skate Zone Mailing, school flyers, and inline hockey trade magazines. Internet. The Skate Zone currently has a website and has received several inquiries from it. Plans are underway to upgrade it to a more professional and effective site. In the future, this is expected to be one of the company's primary marketing channels. 7. Detail a financial plan with business costs, funding, and revenue projections. Finally, outline your financial model in detail, including your start-up cost, financial projections, and a funding request if you're pitching to investors. Your start-up cost refers to the resources you'll need to get your business started -- and an estimate of how much each of those resources will cost. Are you leasing an office space? Do you need a computer? A phone? List out these needs and how much they'll cost, and be honest and conservative in your estimates. The last thing you want to do is run out of money. Once you've outlined your costs, you'll need to justify them by detailing your financial projections. This is especially important if you're looking for funding for your business (which you'll learn more about below). Make sure your financial model is 100% accurate for the best chance of convincing investors and loan sources to support your business. 8. Summarize the above with an appendix. Finally, consider closing out your business plan with an appendix. The appendix is optional, but it's a helpful place to include your resume and the resume(s) of your co-founder(s), as well as any permits, leases, and other legal information you want to include. 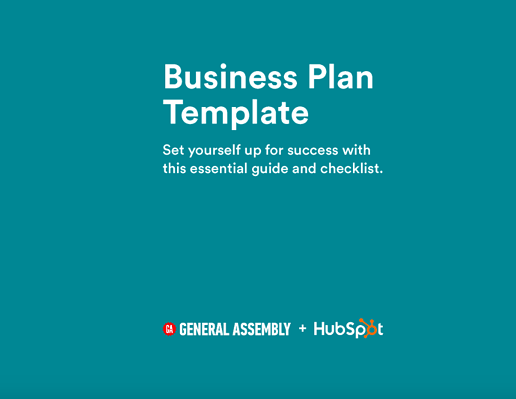 Before you begin your business plan, download this business plan template. It provides an outline for you to follow and simplifies the process. The first steps are to create a cover page, and write a description of your business that outlines your product or service and how it solves a need for your customers. The next step is to work on the company description which provides detail on how your company will be organized and includes the mission statement. In the next section of the business plan template, you'll identify your target audience or buyer personas. Through research, surveys, and interviews, you'll understand who wants your product, why their interested, and what problem your offering solves for them. The next step is to describe your line of products and services in detail, including the pricing model, and the advantage you have over competitors. From there, you'll write down your plan to market and sell your product or service. You'll also identify your growth plan and set targets and measures for your marketing and sales activities. Finally, financial projections will be made, and short-term and long-term goals will be set for the business. Once the business plan is in place, you get to move on to the even less romantic part -- the paperwork and legal activities. This includes things like determining the legal structure of your business, nailing down your business name, registering with the government, and -- depending on your business structure and industry -- getting a tax code, a business license, and/or a seller's permit. Furthermore, businesses are regulated on the federal, the state, and sometimes even local level. It's important to check what's required on all three of those levels. When you register your business with the government, be sure you're covering registration on all the levels required for your business' location. Your business won't be a legal entity without checking these boxes, so stay on top of it. Pros: It's easy and inexpensive to create a sole proprietorship because there's only one owner, and that owner has complete control over all business decisions. Tax preparation is also pretty simple since a sole proprietorship is not taxed separately from its owner. Cons: It can be dramatically more difficult to raise money and get investors or loans because there's no legal structure that promises repayment if the business fails. Also, since the owner and the business are legally the same, the owner is personally liable for all the debts and obligations of the business. How taxes work: The individual proprietor owns and manages the business and is responsible for all transactions, including debts and liabilities. Income and losses are taxed on the individual's personal income tax return at ordinary rates. In addition, you are also subject to payroll taxes, or self-employment taxes, on the money you earn. (More on self-employment taxes later.) Find IRS tax forms here. Example: Multiple doctors maintaining separate practices in the same building. What it is: A partnership is a single business where two or more people share ownership, and each owner contributes to all aspects of the business as well as shares in the profits and losses of the business. Pros: It's generally pretty easy to form a business partnership, and it doesn't tend to be super expensive, either. Having two or more people equally invested in the business' success allows you to pool resources. It also means you have access to more than one person's skill set and expertise. Cons: Just like a sole proprietor, partners have full, shared liability if the business goes south. That also means that partners aren't just liable for their own actions, but also the actions of their partner(s). 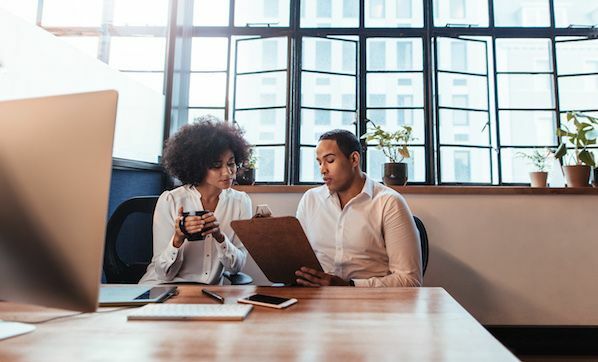 There is a variant on partnerships called a limited liability partnership, or LLP, that protects against that -- which is how most law firms are organized, for example. Finally, when more than one person is involved in decisions, there's room for disagreement -- which means it's important to have an explicit agreement over how the obligations and earnings will be split, especially if/when things go wrong. How taxes work: To form a partnership, you have to register your business with your state, a process generally done through your Secretary of State's office. Find IRS tax forms here. Example: A small design firm. What it is: LLCs are a type of business structure that's more complex than sole proprietorships and partnerships, but less complex than corporations. They are called "pass-through entities" because they're not subject to a separate level of tax. Most states don't restrict ownership on LLCs, and so members can include individuals, corporations, and even other LLCs and foreign entities. Most states also permit "single-member" LLCs, those having only one owner. Pros: As the name suggests, owners of an LLC have limited liability, meaning that they personally are not responsible for any financial or legal faults of the business. This reduction in risk is what makes an LLC a very popular business structure. Cons: LLCs are often more complex than sole proprietorships or partnerships, which means higher initial costs, and certain venture capital funds are hesitant to invest in LLCs because of tax considerations and the aforementioned complexity. That being said, they're simpler to operate than a corporation because they aren't subject to as many formalities. How taxes work: LLCs have the benefit of a "flow-through" tax treatment, meaning that the owners – not the LLC – are the ones who are taxed. Having only one level of tax imposed makes taxes easier. Find IRS tax forms here. Example: Microsoft, Coca-Cola, Toyota Motor, and almost all well known businesses. What it is: A legal entity that is separate and distinct from its owners, and has most of the rights and responsibilities that an individual possesses (to enter into contracts, loan and borrow money, sue and be sued, hire employees, own assets, and pay taxes.) It's more complex than the other business structures, and it's generally suggested for larger, established companies with multiple employees. Pros: They make seeking venture financing easy. They also provide the best protection for personal assets, as the founders, directors, and stockholders are (usually) not liable for the company's debts and obligations – only the money and resources they've personally invested. Cons: Because they're much more complex than other business structures, they can have costly administrative fees, and more complicated tax and legal requirements. How taxes work: Corporations are required to pay federal, state, and in some cases, local taxes. There are two different types of corporations: "C corporations" and "S corporations." C corporations are subject to double taxation – so any profit a C corporation makes is taxed to the corporation when earned, and then is taxed to the shareholders when distributed as dividends. The corporation does not get a tax deduction when it distributes dividends to shareholders. Shareholders cannot deduct any loss of the corporation, but they are also not responsible directly for taxes on their earnings – just on the dividends they give to shareholders. S corporations, on the other hand have only one level of taxation. Learn more about the difference between "C corporations" and "S corporations" here, and find IRS tax forms here. Make sure the name you want is available in your state. If you are a new corporation or LLC, your business name will automatically be registered with your state when you register your business. If you are a sole proprietorship, partnership, or existing corporation or LLC, register a "Doing Business As" (DBA) name. File for a trademark when you've chosen an original name. Establishing a business name is a little more complicated than making a list and picking your favorite. If you're using a name other than your personal name, then you need to register it with your state government so they know you're doing business with a name other than your given name. 1. Make sure the name you want is available in your state. Before you register, you need to make sure the name you want is available in your state. Business names are registered on a state-by-state basis, so it's possible that a company in another state could have the same name as yours. This is only concerning if there's a trademark on the name. 2. Conduct a trademark search. Do a trademark search of your desired name to avoid expensive issues down the road. The search will tell you if another business has registered or applied for the trademark you'd like to use. 3. If you are a new corporation or LLC, your business name will automatically be registered with your state when you register your business. For new corporations and LLCs: Your business name is automatically registered with your state when you register your business -- so you don't have to go through a separate process. There are rules for naming a corporation and LLC, which you can read about here. 4. If you are a sole proprietorship, partnership, or existing corporation or LLC, register a "Doing Business As" (DBA) name. For sole proprietorships, partnerships, and existing corporations and LLCs (if you want to do business with a name other than their registered name), you'll need to register what's called a "Doing Business As" (DBA) name. You can do so either by going to your county clerk office or with your state government, depending which state you're in. Learn how to do that here. 5. File for a trademark when you've chosen an original name. Want to trademark your business name? A trademark protects words, names, symbols, and logos that distinguish goods and services. Filing for a trademark costs less than $300, and you can learn how to do it here. If your business sells tangible property to the public either as a wholesaler or retailer, then in most states, you need to apply for a seller's permit. "Tangible property" simply means physical items, like clothing, vehicles, toys, construction materials, and so on. In some states, a seller's permit is required for service-oriented business, too, such as accountants, lawyers, and therapists. What is it and do you need one? The seller's permit allows you to collect sales tax from buyers. You'll then pay that sales tax to the state each quarter by putting the sales tax permit number on the state's tax payment form. You can register for a seller's permit through your state's Board of Equalization, Sales Tax Commission, or Franchise Tax Board. To help you find the appropriate offices, find your state on this IRS website. Almost every business needs some form of license or permit to operate legally – but the requirements vary, which can get confusing. Which specific licenses or permits does your business need? To figure that out, go to this SBA.gov website and select the state from which you're operating your business. It'll tell you the specific license and permit requirements in that state. Business owners are obligated to pay specific federal taxes, and the amount of those taxes is determined by the form of business entity that you establish. All businesses except for partnerships need to file an annual income tax return. Partnerships file what's called an information return. Once you've registered your new business with the government and gotten the legal paperwork squared away, how do you go about, you know ... acquiring customers? Before you can receive any significant funding for your business (which we'll talk about in the next section), you need to start building an online presence and marketing your business, as well as getting a sales process together and beginning to sell your product or service. Turns out that generating demand and earning customers needs to come before you can viably ask for funding from an external source. And once you start generating customers, you'll need to retain them – which is where customer service comes in. Learn more about customer service here. A new company needs to start drumming up interest for its product or service even before it's ready to ship. But there are a million different platforms and avenues you can use to drive awareness … so where on earth do you start? 1. Narrow down your target customer. It all comes down to your target customer. You won't be able to position what you're selling to meet customers' needs without knowing who they are. One of the very first questions you need to ask yourself is: Who wants what I'm selling? Who would find it useful? Who would love it? Then, you need to dig in to who that person is or those people are, and what kind of messaging would resonate with them. That includes their backgrounds, interests, goals, and challenges, in addition to how old they are, what they do every day, which social platforms they use, and so on. Creating very specific buyer personas can dramatically improve your business results. Read this step-by-step guide on how to create buyer personas, which includes buyer persona templates you can customize yourself. Once you've picked a buyer persona or two, print them out, tack them onto your wall, and think about their interests and needs before making every business decision. 2. Develop a brand identity. In addition to researching your target customer, when you're first starting a business, you'll need to build the foundation for a strong brand identity. Your brand identity is about your values, how you communicate concepts, and which emotions you want your customers to feel when they interact with your business. Having a consistent brand identity to promote your business will make you look more professional and help you attract new customers. 3. Build your online presence. 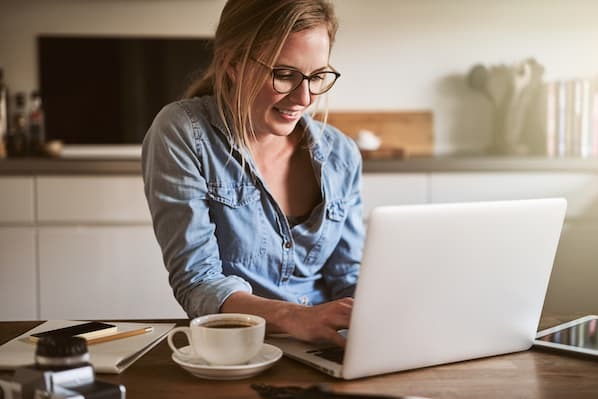 With your target customer and your brand identity under your belt, you can begin building the core marketing elements of your small business, which includes your website, your blog, your email tool, your conversion tool, and your social media accounts. To dive deeper into these topics, read our beginner's guide to small business marketing here. 4. Generate and nurture leads. Once you've started building an online presence and creating awareness for your business, you need to generate the leads that will close into customers. Lead generation is the process of attracting and converting strangers and prospects into leads, and if you build a successful lead generation engine, you'll be able to keep your funnel full of sales prospects while you sleep. What does a successful lead generation process look like? Learn more about lead generation here, and click the button below to try HubSpot's free marketing tools, our free lead generation tool that lets you track your website visitors and leads in a single contact database. Here are some helpful resources to help you spread awareness, build your online presence, and get the leads you need for free. 1. Set up your sales infrastructure. 2. Identify your sales goals. Don't get intimidated by sales lingo such as KPIs and ROI. All this means is that you need to figure out what you need coming into your business to make ends meet and grow: how much revenue do you need, and how many products do you need to sell to hit that target? 3. Hire a sales rep. When you're starting your business, it's tempting to do everything yourself, including taking on sales. However, making that first sales hire is crucial to scaling – you need someone dedicated to understanding your buyer and selling to them full-time. When looking for that first sales hire, seniority should be less of a priority than how much sales experience they have on the front lines and whether they understand your business's target buyer. 4. Get more out of your sales activities. Efficiency is key. Put together a sales process, such as this helpful 7-step sales process framework, which works regardless of your business size. You'll also want to automate sales tasks (such as data entry), or set up notifications when a prospective customer takes an action. That way, you spend less time poring through records and calling the wrong prospects and more on strategy and actual selling. Here are some helpful templates tools to help you build an efficient sales engine, reach prospects, and close customers for free. Getting net new customers in the door is important, but retaining them is just as important. You can't ignore customers once you've closed them – you have to take care of them, give them stellar customer service, and nurture them to become fans of (and even evangelists for) your business. While inbound marketing and sales are both critical to your funnel, the funnel doesn't end there: The reality is that the amount of time and effort that you spend perfecting your strategy in those areas will amount to very little if you're unable to retain happy customers. This means that building a model for customer success should be central to your organization. Think for a second about all the different ways reviews, social media, and online aggregators spread information about your products. They're all quick and effective, for better or for worse. While your marketing and sales playbooks are within your control and yours to perfect, a large chunk of your prospects are evaluating your company based on the content and materials that other people are circulating about your brand. People expect fast resolution times (some faster than others depending on the channel), so it's essential to be nimble and efficiently keep up with requests so that you're consistently providing excellent service to avoid losing trust with your customers. Pay attention to the volume of your company mentions on different channels. Identify where your customers spend the most time and are asking the most questions, and then meet them there, whether it's on a social network, on Yelp, or somewhere else. 2. Keep track of touchpoints with individual customers. Interactions with your customers are best informed by context. Keep track of all the touchpoints you've had with individual customers because having a view into their experience with your company will pay dividends in the long run. How long have they been a customer? What was their experience in the sales process? How many purchases have they made? Have they given positive/critical feedback about your support experience or products? Knowing the answers to these questions will give you a more complete picture when you respond to inquiries and will help you have more productive conversations with customers. From the moment you have your first customer, you should be actively seeking out insights from them. As your business grows, this will become harder -- but remember that your customer-facing employees are a valuable source of information because they are most in tune with your buyers and potential buyers. 4. Create a FAQ page for your website. Give customers the tools to help themselves, and scale this program as you grow. When you're starting out, this might take the form of a simple FAQ page. Over time, as your customer base grows, turn your website into a resource for your customers and enable them to self-service – such as evolving that FAQ page into a knowledge base or library that answers common questions and/or gives customers instructions. From the day you start building your business until the point where you can make a consistent profit, you need to finance your operation and growth with start-up capital. Some founders can finance their business entirely on their own dime or through friends and family, which is called "bootstrapping." This obviously gives the business owners a ton of flexibility for running the business, although it means taking on a larger financial risk -- and when family's involved, can lead to awkward holiday dinner conversations if things go wrong. Many founders need external start-up capital to get their business off the ground. If that sounds like you, keep on reading to learn about the most common kinds of external capital you can raise. If you're looking for a relatively small amount of money, say, the investigation of a market opportunity or the development of the initial version of a product or service, then Seed financing might be for you. There are many different kinds of seed financing, but the one you've probably heard of most is called Seed-round financing. In this case, someone will invest in your company in exchange for preferred stock. If your company gets sold or liquidated, then investors who hold preferred stock often have the right to get their investment back -- and, in most cases, an additional return, called "preferred dividends" or "liquidation preferences" -- before holders of common stock are paid. Accelerators are highly competitive programs that typically involve applying and then competing against other startups in a public pitch event or demo day. In addition to winning funding and seed capital, winners of these programs are also rewarded with mentorship and educational programs. Although accelerators were originally mostly tech companies and centered around Silicon Valley, you can now find them all over the country and in all different industries. If this sounds like something you'd be interested in, here's a list of the top accelerators in the United States to get you started. If you have a really rock-solid plan for how you'll spend the money in place, then you might be able to convince a bank, a lender, a community development organization, or a micro-lending institution to grant you a loan. There are many different types of loans, including loans with the bank, real estate loans, equipment loans, and more. To successfully get one, you're going to need to articulate exactly how you'll spend every single penny -- so make sure you have a solid business plan in place before you apply. You can learn more about SBA.gov's loan programs here. You might ask yourself, what about companies that get funding through platforms like Kickstarter and Indiegogo? That's called crowdfunding, which is a newer way of funding a business. More importantly, it typically doesn't entail giving partial ownership of the business away. Instead, it's a way of getting funding not from potential co-owners, but from potential fans and customers who want to support the business idea, but not necessarily own it. What you give donors in exchange is entirely up to you -- and typically, people will come away with early access to a product, or a special version of a product, or a meet-and-greet with the founders. Learn more about crowdfunding here. Only a very small percentage of businesses are either fit for venture capital or have access to it. All the other methods described earlier are available to the vast majority of new businesses. If you're looking for a significant amount of money to start your company and can prove you can quickly grow its value, then venture capital financing is probably the right move for you. Venture capital financing usually means one or more venture capital firms make large investments in your company in exchange for preferred stock of the company -- but, in addition to getting that preferred return like they would in series seed financing, venture capital investors also usually get governance rights, like a seat on the Board of Directors or approval rights on certain transactions. VC financing typically occurs when a company can demonstrate a significant business opportunity to quickly grow the value of the company but requires significant capital to do so. Once you have a solid business plan and the tools and financing to execute your goals, you'll be on the path to launching your business. If you need some more inspiration, read about how to become an entrepreneur next.